Développée en collaboration avec des chirurgiens plasticiens, la crème correctrice procure une haute couvrance impeccable tout en protégeant la peau grâce à un écran solaire physique à large spectre UVA/UVB FPS 50+. Cliniquement prouvée pour accroître de 179 % l’hydratation de votre peau tout en lissant sa texture et en lui donnant de l’éclat, cette crème correctrice révolutionnaire ne file pas et ne fait pas de plis, et camoufle instantanément les imperfections de la peau, comme les taches foncées. Ce produit est aussi infusé d’un sérum anti-âge révolutionnaire qui contient du collagène hydrolysé, des peptides, de la niacine, de l’acide hyaluronique, des antioxydants et les vitamines A, B, C et E, qui travaillent en harmonie pour atténuer l’apparence des rides et des pores tout en vous donnant une peau souple, radieuse et impeccable. À emporter Essayez la crème CC+ Your Skin But Better en format voyage! * Résultats observés dans une étude clinique. Your Skin But Better™ Crème CC+™ avec FPS 50+ est évalué 4.4 de 5 de 2104. Rated 1 de 5 de Kerris6917 par Product does not perform as advertised Product does not cover as portrayed in advertising, I have medium dark spots from sun damage, even with layering the product they were clearly visable. Product made my face feel greasy after only a few hours. 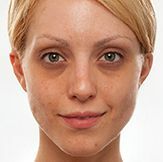 Color: I ordered both the light tan and the medium tan based on color comparison to my normal foundation, neither was even closed to being represented accurately, the light was so pale I can't believe you put "tan" in the title, medium was also light but had such a strong yellow/sallow tint I looked like a fake plastic doll when done. For the price I would expect a better product and one that is not misrepresented in its advertising. Rated 5 de 5 de ChicaRubia par Fresh, radient complexion I bought in Medium, which is not very dark, considering there are several shades lighter available. This CC Cream gives such a lovely natural look to my skin. "Your Skin But Better" is spot on. I us this over the 50 Primer. I am 40 and love trying new makeup, however the search for a product that covers just right AND lasts, is over. I have been using Bare Minerals for almost 10 years, but it does not last long in the day. Was in love with Kate Sommerville foundation, but it is heavier than I wanted. Make Up Forever, Cover FX, and Boscia dont come close to this IT CC Cream. So pleased and so happy to put on my skin. Smells good too! Rated 5 de 5 de SageWarrior par Unbelievable. Thought reviews were too good... I'm a Digital Strategist for some of the world's top natural, skincare/makeup brands. I'd heard about It Cosmetics, but thought all the reviews were too good to be true. Unbelievably in love with this product. For a 1/4 of the price of what my clients sell their comparative products (cc + anti-aging + foundation + sunscreen). Literally dumped the $210 anti-aging CC cream I normally use and $110 anti-aging daily serum I used under it. As an insider in the industry, I've learned price is definitely not indicative of quality. This is certainly the case. For the record, I am 42, Latina with aging, dry skin and sun spots. I have found my go-to foundation!